BURKE, Va. —Leading nationwide restoration contractor Stephen Shanton receives prestigious WindStorm Insurance Network® (WIND) Fellow® Designation. The WIND Designation Program recognizes industry individuals who demonstrate professionalism and technical knowledge in the field of property and windstorm insurance claims, and recognizes individuals who show a dedication to ongoing education in their respective concentrations. “I’m extremely honored to receive the WIND Fellow designation. My company is committed to obtaining the highest accreditations and improving the industry to help property owners receive the best level of service possible,” says Stephen Shanton, CEO and president of Venture Construction Group. WIND is a professional association formed in 1999 to bring together defense and policyholder professionals to connect, learn, and engage on important topics in the property and windstorm insurance claims industry. The WIND Designation Program is a distinct credential process for property and windstorm insurance claims professionals. Designees must meet high standards and are recognized for their experience, education, ethics, and engagement in the property insurance claims industry. 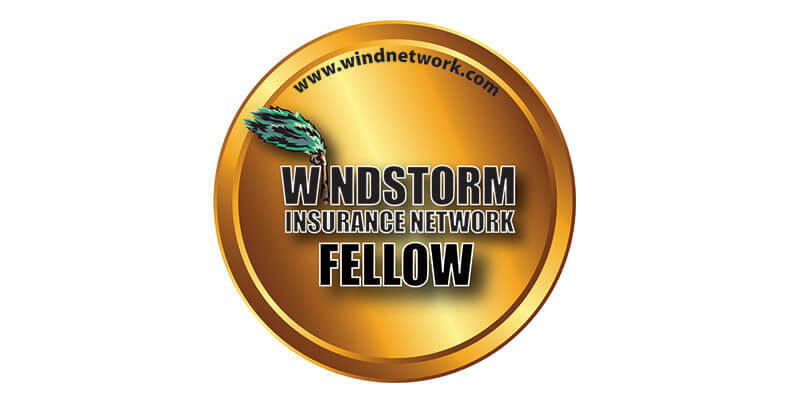 “WindStorm Insurance Network (WIND) Fellows hold some of the highest standards in the property claims industry. We are pleased to have Stephen Shanton named as a WIND Fellow® and look forward to working with him to improve the property insurance claims industry,” says Michelle Griffin, Executive Director, WindStorm Insurance Network. Holding all of the industry’s leading accreditations, Shanton is recognized as a nationwide industry leader at the forefront of the insurance claims industry. Shanton’s companies set the bar for the industry by providing the highest levels of accreditation, education and expertise to property owners. WIND Network members are dedicated to promoting awareness of property and windstorm insurance claims issues through the application of educational initiatives, shared member resources, and credential programs designed to support and improve the professional delivery of property and windstorm-related insurance claims services. In addition to providing construction, renovation and restoration services nationwide, Venture Construction Group helps property owners recover quickly after storm events such as hail, tornadoes, hurricanes, wind, fire and flood.